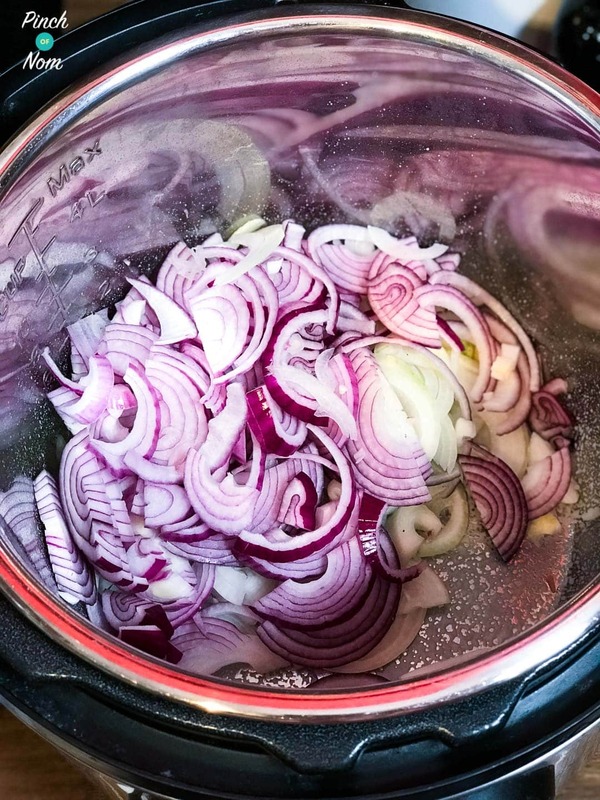 This Slimming World friendly, Syn Free French Onion soup takes no time at all in the Instant Pot! 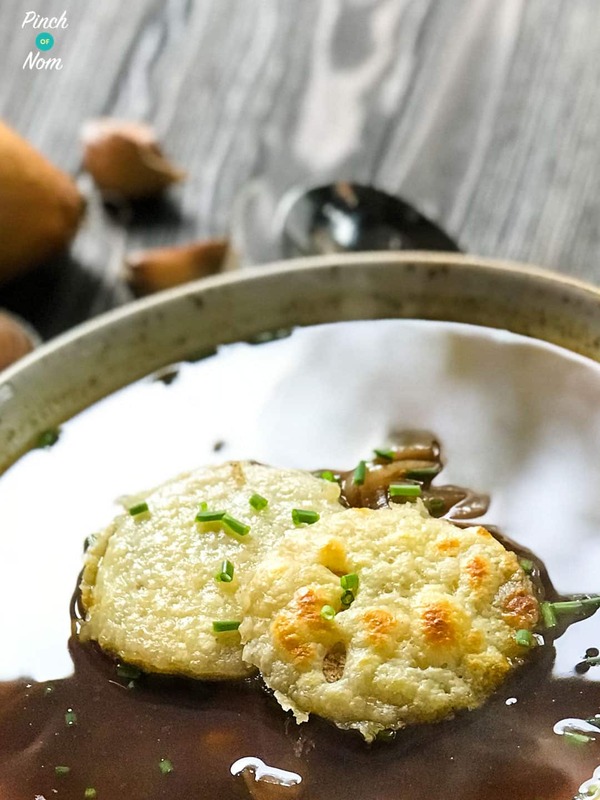 Nothing beats the mouth-watering flavour of cooked onions, and this Syn Free French Onion Soup has bags of sweetness to boot. The flavours are really intense and the garlic adds an extra depth to the taste. Soups are a great way to pack in a load of speed foods for a Syn free lunch. 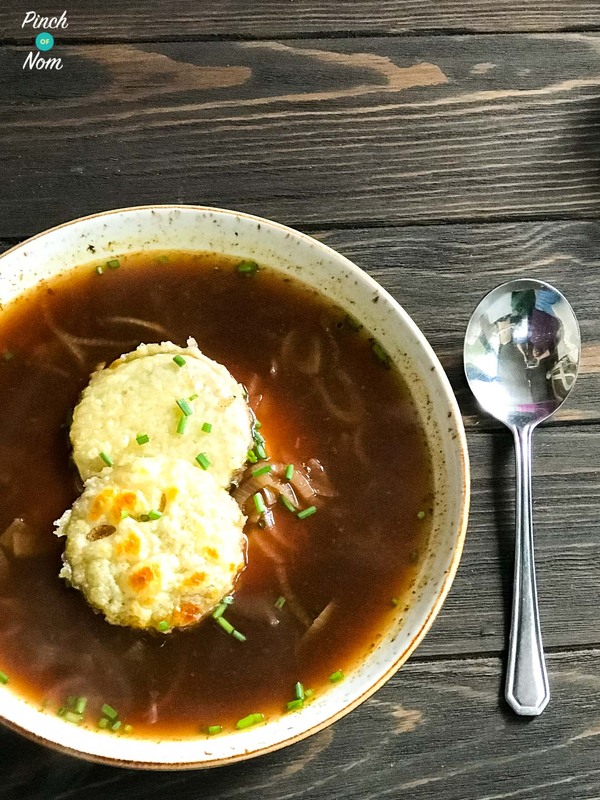 This Syn Free French Onion Soup is also a one pot wonder, and is super easy to make. You can also make this in a slow cooker, but you’d need to brown the onions in a frying pan first. 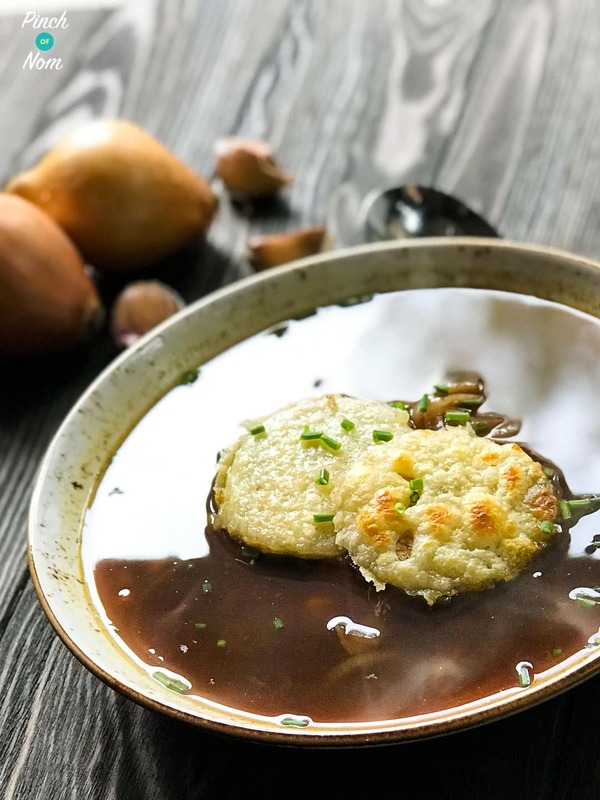 Love this Syn Free French Onion Soup recipe? 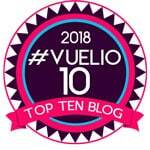 Tag us! One of our Instagram followers @swlinzn made this dish and loved it! Another of our Instagram followers @genesis_11_11 made this dish and loved it too! 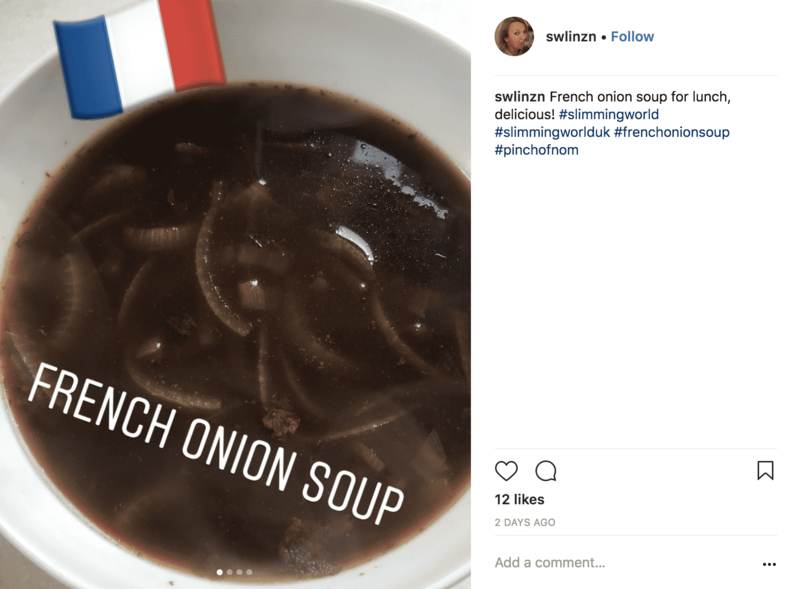 If you make this Syn Free French Onion Soup recipe, snap a pic and hashtag it #pinchofnom — We love to see your creations on Instagram, Facebook, & Twitter! 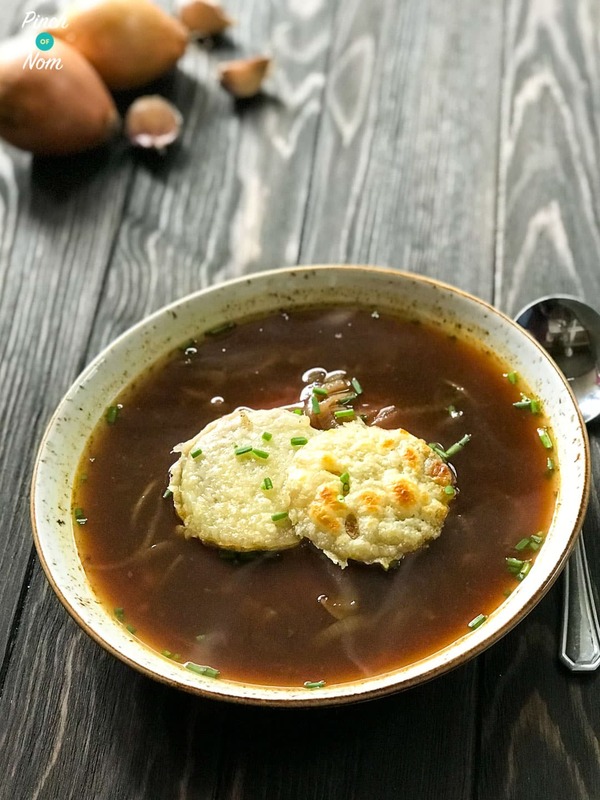 What do I need to make this Syn Free French Onion Soup? This soup is really simple to make, with no blending or blitzing required. The Instant Pot is like a slow cooker/pressure cooker hybrid and is probably one of our favourite kitchen gadgets. You can cook stews and soups in it in a quarter of the time it would take in a slow cooker! 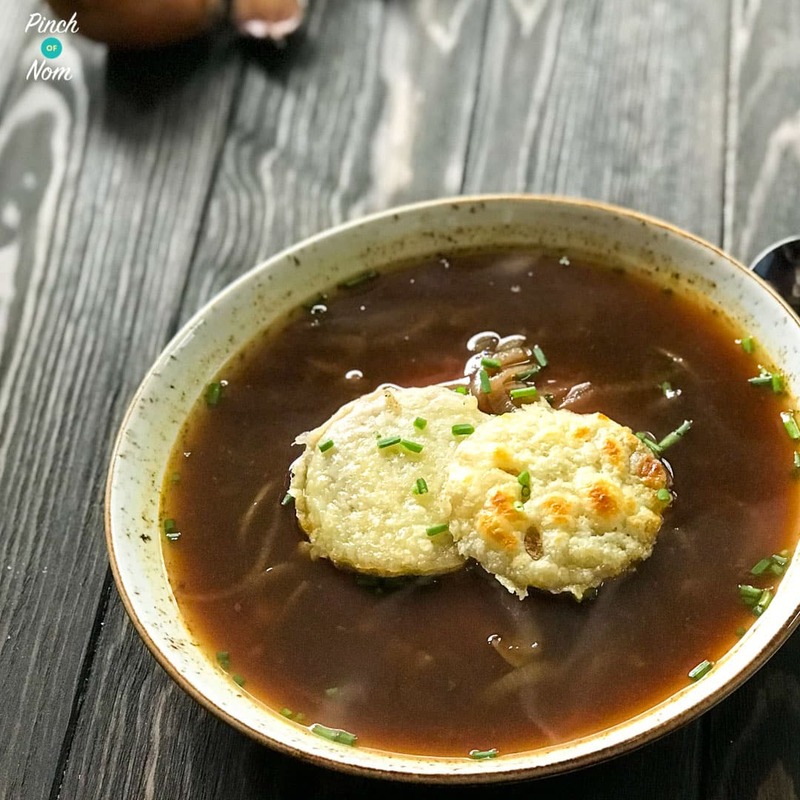 This Syn Free French Onion Soup takes 5 minutes in the Instant Pot, but would take about 2 hours in a slow cooker! 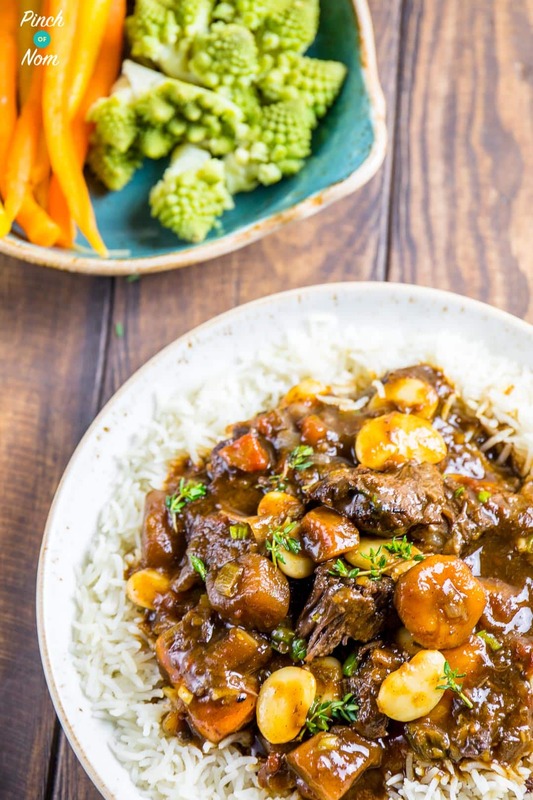 We have loads of Instant Pot recipes such as this delicious Syn Free Caribbean Jerk Stew! 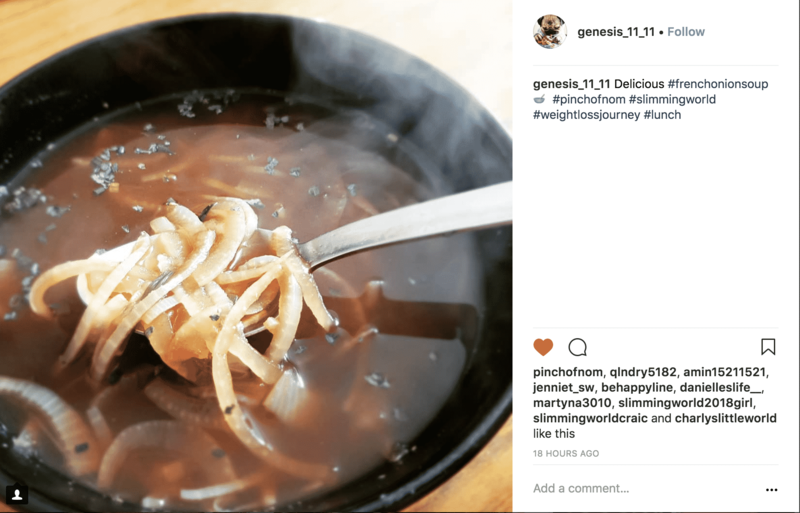 How many Syns are in this Syn Free French Onion Soup? As the title suggests, this Syn Free French Onion Soup is…Syn Free! 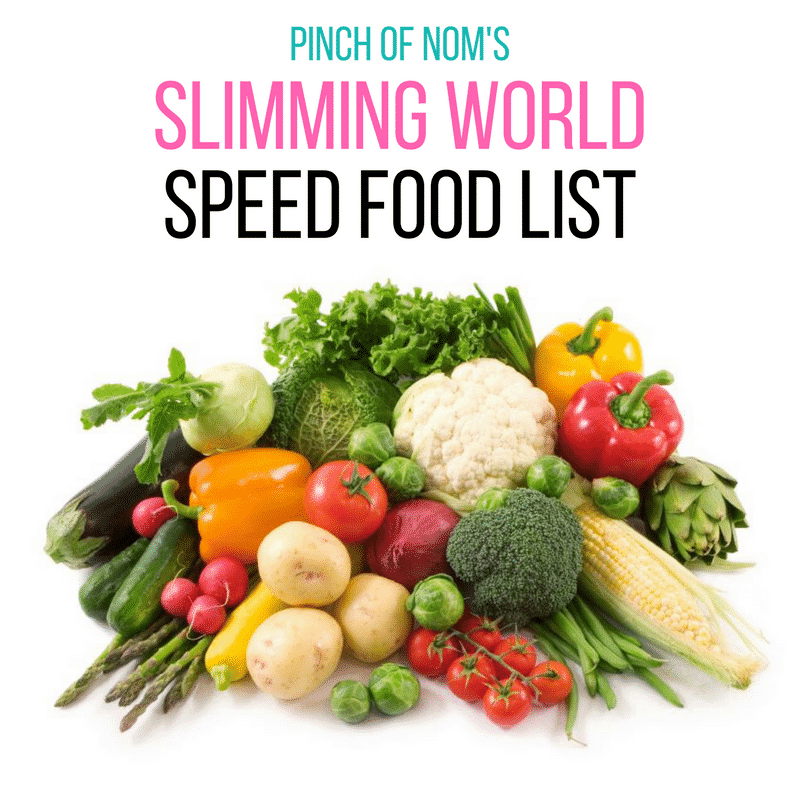 In fact it is packed full of Speed Food! There are a few things you can use to garnish this soup. We like to toast a slice of Healthy Extra B bread, topped with some Healthy Extra A Reduced Fat Emmental. Whatever you choose don’t forget to check the Syn value and adjust it accordingly. 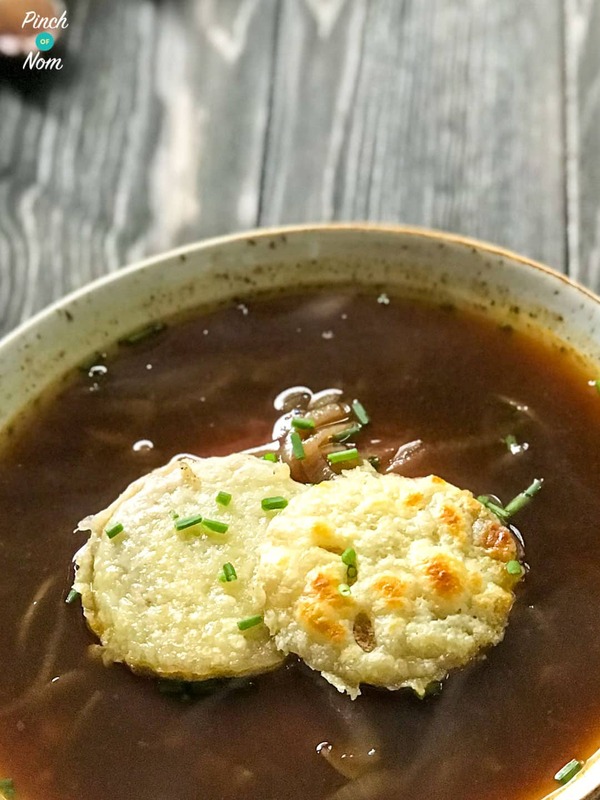 How do I make this Syn Free French Onion Soup? Slice the onions and garlic finely. Set the Instant Pot to Sauté, spray the inner with Frylight and brown the onions and garlic. Do not stir too frequently, you want the bottom to brown to give the soup extra colour. Add the balsamic vinegar and Worcestershire Sauce and stir. Pour in all of the water and add the beef stock cubes and vegetable stock pot. Press the “off” button. Put the lid on, ensure the pressure valve is closed, and press the “Manual” button. The Instant Pot may take a little while to come up to pressure as there is quite a lot of liquid in there! Once the Instant Pot has beeped to let you know it has finished, quick release the pressure (careful not to get in the way of the releasing steam!). Serve the soup with a garnish of your choice! Whenever we need to replace oil in cooking we use Frylight. 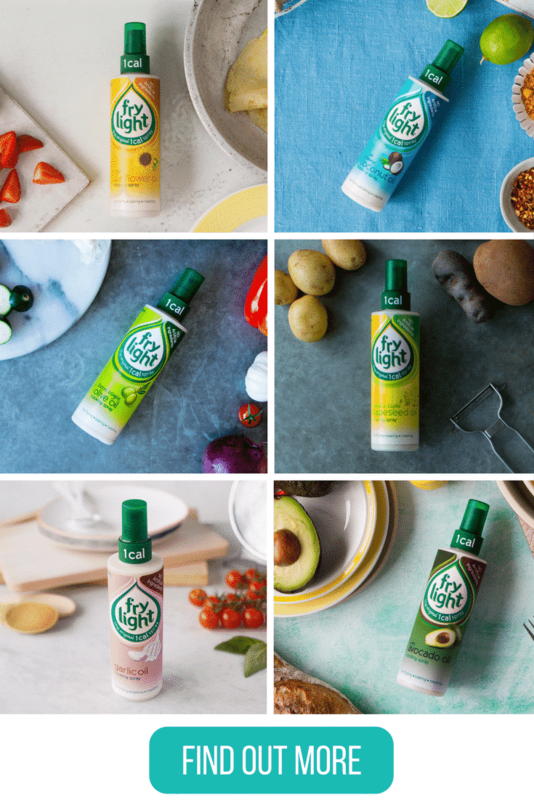 Perfect for everyday frying and cooking, it delivers exactly one calorie per spray, which makes it Syn free! 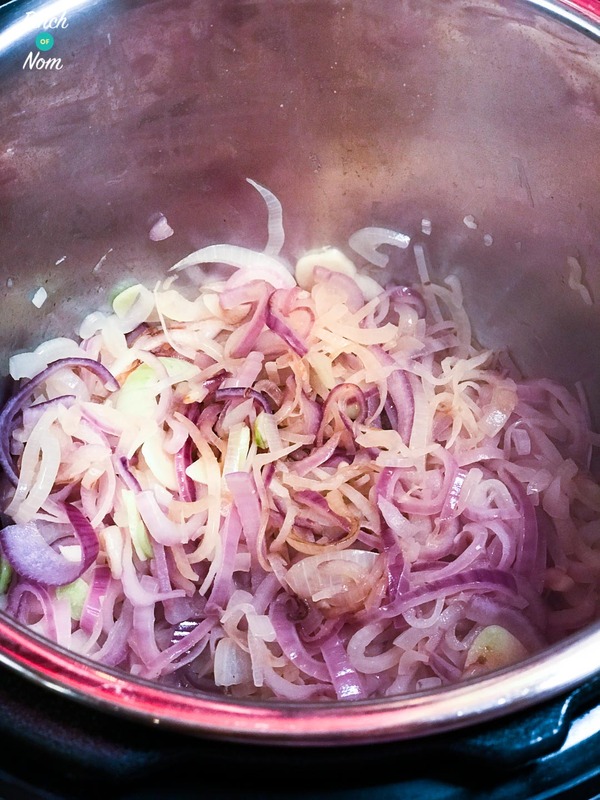 We used the Olive Oil one for this Syn Free French Onion Soup recipe, and it was fab! Slice the onions and garlic finely. Set the Instant Pot to Sauté, spray the inner with Frylight and brown the onions and garlic. Do not stir too frequently, you want the bottom to brown to give the soup extra colour. This will take around 10 minutes. Add the balsamic vinegar and Worcestershire Sauce and stir. Pour in all of the water and add the beef stock cubes and vegetable stock pot. Press the "off" button. Put the lid on, ensure the pressure valve is closed, and press the "Manual" button. Change the time to 5 minutes. The Instant Pot may take a little while to come up to pressure as there is quite a lot of liquid in there! Brown the onions and garlic as described in step 1. Add balasmic and Worcestershire sauce and stir. Transfer to a large saucepan, add water, beef stock cubes and stock pot. Simmer with lid on for approx 20 mins, stirring occasionally. Then remove lid and simmer for another 5 mins if you want your soup a little thicker. Serve as described in the recipe. Can you provide the cooking instructions for someone with no instant pot please? 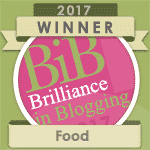 This looks so good, it’s my favourite soup – can’t wait to try it! Looks lovely. How would you do this in the slow cooker please? For the slow cooker – follow the making instructions for step 1 and 2 in a large frying pan on hob, minus the water. Transfer to slow cooker, add water and cook on high for approx 3 hrs, leaving lid off for at least the last 30 mins to allow soup to thicken. 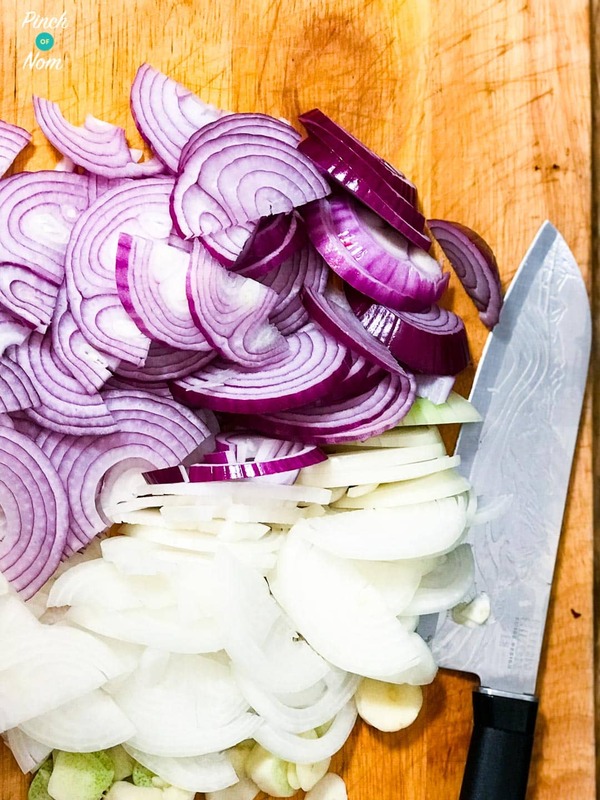 Frying the onion and garlic helps to develop the flavour. You could complete this part on the hob then transfer ingredients to the soup maker. Most of the PoN team have an Instant Pot. It’s THE most versatile and useful kitchen gadget I own!! It has many functions, including saute, rice, pressure cooking and slow cooking. The beauty of that is you can cook an entire meal in the one pot.You can cook so much in it, from curries and casseroles, soups and stews, to a whole chicken!! There is currently a Europe-wide supply issue with them, but we’ve been told that they should be back in stock by end of Feb 2018. 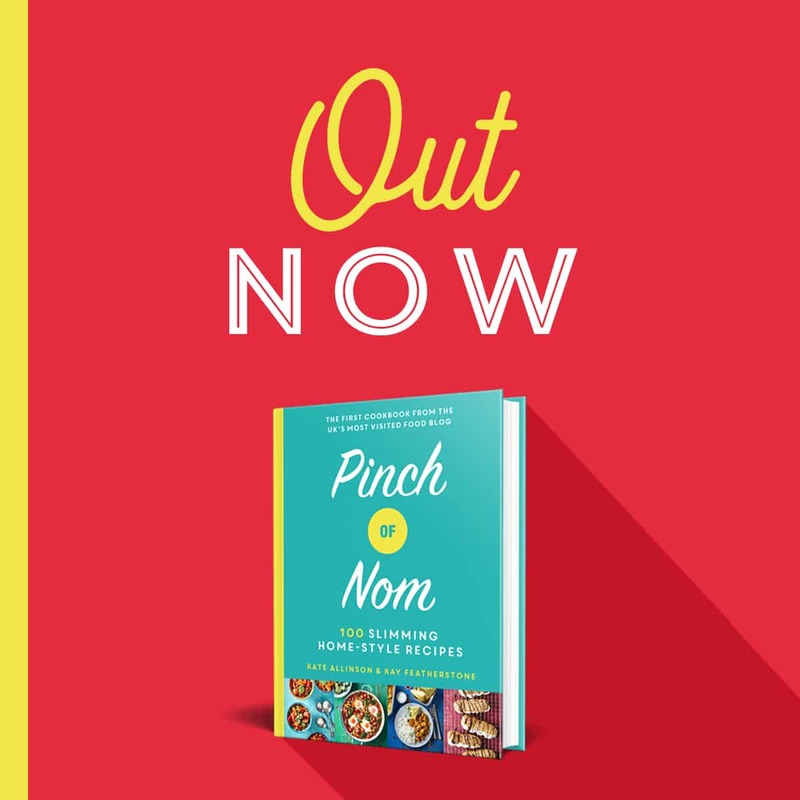 Fabulous recipe – as good as the unhealthy version I used to make from a French recipe when I had a spare 8 hours floating about pre-child and pre-SW. Tastes better than I thought it would bearing in mind it is an extra easy SP recipe! Thank you PON. PS I Made this on the hob as waiting for the Instant Pot European stock shortage to end. So glad you enjoyed it, Clair! Hi this looks delicious! Just wondering what the cheesy topping is? Thanks. We mention this in the recipe blurb. It’s some toasted HEB bread topped with some HEA reduced fat emmental cheese. hi, how long will this keep in the fridge please. This soup will keep in a sealed container in the fridge for up to 48hrs. I love French onion soup, but don’t have a sauté pot. Do you think it could be done in a soup maker? This may sound stupid but what is a ‘vegetable stock pot’? Also can you freeze this soup? Stock pots are a jellified stock rather than a dry stock cube. You can find them with the stock cubes, gravy granules etc. If you don’t have any, a stock cube will be fine. Hi can you do this in a soup maker 🤔 thanks.